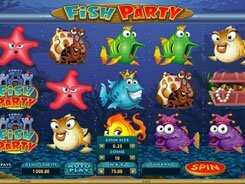 Fish Party is a funny cartoon-like slot from Microgaming based on a 243 ways to win model. The reels are set against an underwater landscape, and all the symbols that appear on the reels are related to the sea, its inhabitants and treasures hidden from view. 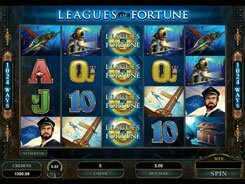 The slot has two configurable bet options: a coin size ($0.01 to $0.25) and the number of coins per spin (up to 10). You can place a wager ranging from $0.25 to $75. 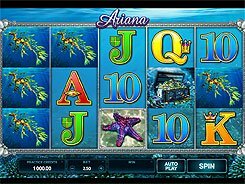 The second jackpot of x800 times a bet is awarded for the Fish Party symbols if these five display on adjacent reels starting from the far left reel. The wild comes stacked on all reels and substitutes for all regular symbols to finish a winning combo. A funny goggle-eyed oyster serves as a scatter. 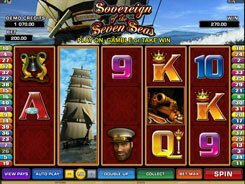 Two to five scatters pay out x30 to x3000 (the slot’s biggest prize). 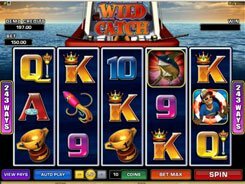 Along with that, three or more Oysters activate up to 20 retriggerable free games with a unique Super Stacked Wilds feature. 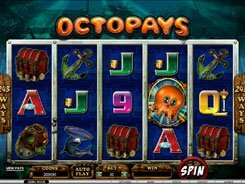 During the free spins, all fish icons and treasure chests appear stacked on the reels. The gamble feature available after a winning game as an option may increase your award twice or four times.